Need to talk more about your donation? With a little planning, your gift to Huston-Tillotson University can help achieve your financial, philanthropic, and estate-planning goals. Planned gifts give back, allowing you to take sizable income, capital gains, and estate deductions on your taxes. They can provide income for you and your family for life. In addition, planned gifts can be much larger than other gifts, so you can leave a legacy that fits your philanthropic goals. Bequests are the most common and simplest way to give to Huston-Tillotson University. A bequest is a gift – of any amount – that is made through a donor’s will. Donors may include Huston-Tillotson University in their wills by simply naming the school for a specific dollar amount (legacy), specific asset or percent share of their estate. Donors may also name HT as the residual beneficiary of their estates after the payment of bequests to others. Donors do not owe any federal estate tax on the amount of the bequest. Many states also allow full inheritance tax deductions. A gift annuity agreement provides contributors who donate cash, securities, real estate or personal property with fixed annual payments for a specified period of time. Donors who choose a deferred gift annuity will begin making the annual payments at a time specified by them. Gift annuities are beneficial for donors who want to receive income from assets that have increased in value, such as cash or stocks. In exchange for gifts of such assets, donors are guaranteed a lifelong fixed annual income and avoid capital gains tax; in addition to an income tax break on a portion of the earnings from an annuity; the exact amount depends on their age. Charitable lead trusts mostly appeal to wealthy donors who want to pass along appreciated assets to their heirs at a reduced gift or estate tax cost. 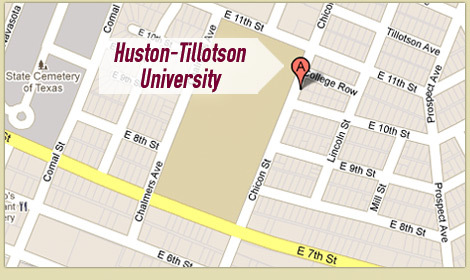 These trusts allow Huston-Tillotson University to receive income from the donor’s assets for a specified time, after which the asset is returned to the donor/donor’s heirs who do not have to pay any additional taxes. If your children or grandchildren will be the recipients of the trust assets, you may pay a gift tax on the asset when it is placed into the trust, but the gift tax will be reduced by the charitable value of the trust income paid to HT. Once the asset is placed into the trust, it can grow tax-free. Bonds, listed securities, closely held stock and income-producing real estate are assets appropriate for a charitable lead trust. The Institutional Advancement Office at Huston-Tillotson, its employees, and representatives do not offer legal or financial advice. Prospective donors should consult with an attorney, financial advisor, estate planner or accountant before making arrangements. Two basic types of charitable remainder trusts – unitrust and annuity – allow you to qualify for federal tax benefits while receiving income from your stock, cash or other assets. Once you give your assets to a trust, those assets are invested, producing income for you – or another beneficiary – for either a fixed period of time or your lifetime. You may claim a tax deduction for the estimated portion of the assets that will ultimately come to Huston-Tillotson University. At the end of the trust period, HT keeps all remaining assets. Below are several convenient ways to use a whole or universal policy as a charitable gift. Contributing a paid in full policy that you no longer need does not diminish your current income and may provide you with an income tax deduction for the replacement value of the policy. Your gift may also save you substantial estate taxes. You may also contribute a policy that is not paid in full and take a deduction for the “cash surrender value” of the policy. You would continue to make gifts – deductible charitable contributions – to HT to pay the premiums. Huston-Tillotson University welcomes gifts of tangible property that further Huston-Tillotson’s educational endeavors which the University would otherwise need to purchase. Gifts of real estate can generate significant tax benefits for donors and eliminate problems that come with the settlement of estates. The gift can be for a fractional interest in the property or the entire property. Donors often transfer their property to a trust that generates income for them for life, then on to Huston-Tillotson after their death. You may fund a Charitable Remainder Unitrust for your spouse with life insurance. The premium payments would be partially tax deductible and the trust would provide income for your spouse after your death. You may give appreciated property to Huston-Tillotson and use the income tax savings to purchase life insurance for your family.